Visits are by appointment only. Our office hours are Monday through Friday from 9 AM till 6 PM. We are a few hundred meters away from the new Bibliothèque Nationale de France and 200 meters from the Metro station Françoise Mitterrand, line 14 and the RER. 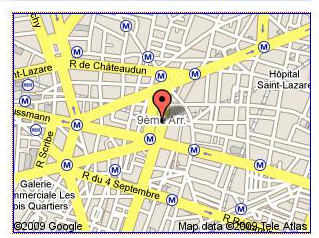 DROUOT, 9, Rue Drouot, 75009 Paris, France. 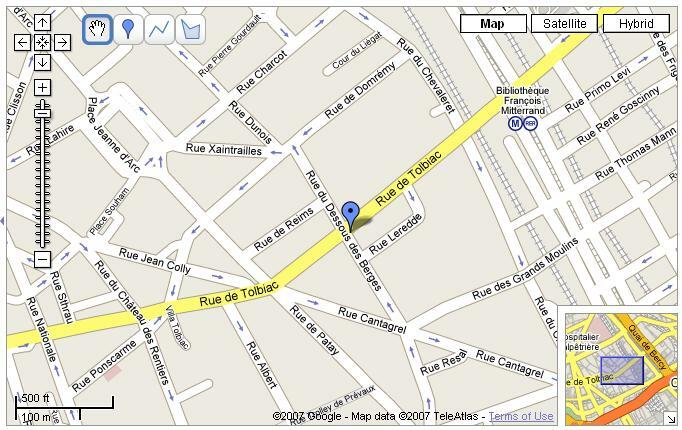 The Drouot auction house is situated in a quarter which has kept the typical charm of the 19th century with its cabarets and its popular theatres, just as the numerous covert passages which connect the Grands Boulevards, the Rue de la Grange Bateliere and the suburb of Montmartre. Do not hesitate to contact us if you have any questions regarding the auction, the Paris map-fair or maps, atlases, prints and books in general. You may contact us by phone +33 (0)1 44 24 85 80 or mobile +33 (0)6 11 80 33 75. We can assist you in English, French, German and Dutch!